This premiere US release (and GM debut) has captured the electricity of Mark Helias’s live performance prowess at two different Dutch music festivals in 1995 (the Groningen Jazz Festival) and 1996 (Nijmegen Music Meeting). Helias is joined by NYC downtown’s Mark Feldman (violin), Ellery Eskelin (tenor) and drummers Tom Rainey or Mike Sarin in a setting of compositions that exude balance and form, rhythmic interaction, odd metrical sub-divisions and open form improvisation. 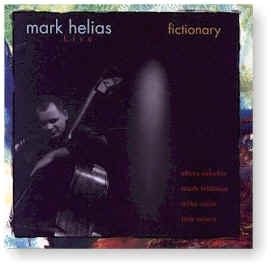 All compositions by Mark Helias. Recorded live at the 1995 Groningen Jazz Festival* and the 1996 Nijmegen Music Meeting.